What happens when nine months suddenly becomes six? 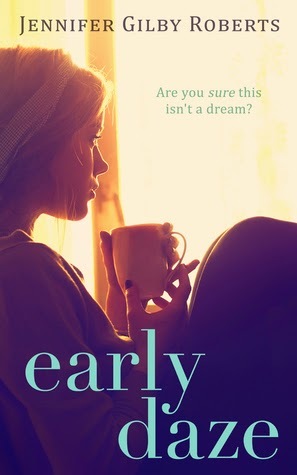 Life has always gone smoothly for Jess Jackson, but then she got pregnant and it wasn't just her breakfast that started going down the pan. And now her baby has "fallen out" before she's even started ante-natal classes. Suddenly, she's sucked into the bubble of the Neonatal Unit, where tensions run high and the real world feels very far away. She has a new home, new routines, new friends and even a new crush, just when she feels most distant from her old life and fiancé. Add in sleep deprivation, hormones, worry and the fact that she has more contact with her breast pump than her baby, and her neat little world is in grave danger of falling apart. I was engrossed by this novel by Jennifer Gilby Roberts and have firmly put her on my list of my favourite authors. I’ve now read three of her novels and they have all had a new feel. I appreciate that she’s not got a formulated book format and is branching out in her subject matter. While each novel I’ve read is told in the first person I also found each voice to be unique. Early Daze was emotional, funny and sometimes shocking. There were moments when I was on the edge with worry about the characters and other moments I was relieved to be with them. While the subject matter was more serious than her other novels I still felt that Roberts put warmth and honestly into Jess’ role as a new mother- you can’t help but want her to pull through and that baby Samantha will be released from hospital as soon as possible. There is a natural progression of their bond as Samantha gets bigger (which was virtually non-existent at her birth due to her very early arrival). While I’ve never experienced the fear of such an early birth myself I felt that the writing was genuine and the feelings expressed were true.